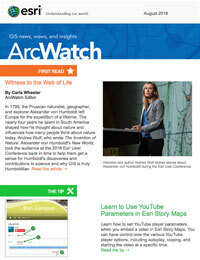 Because ArcGIS Earth can access data from ArcGIS Online, the number of layers available is vast, and expanding daily. 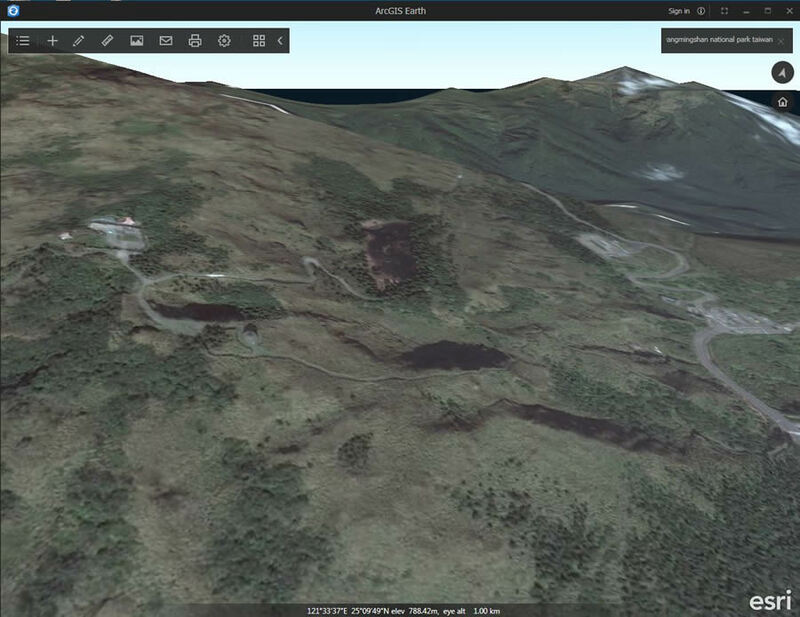 Educators and students can also visualize data collected and stored on their own computers. Let’s explore five activities that teachers and students can quickly and easily use in the classroom, at a wide variety of educational levels and disciplines. 2. Teach students about watersheds. 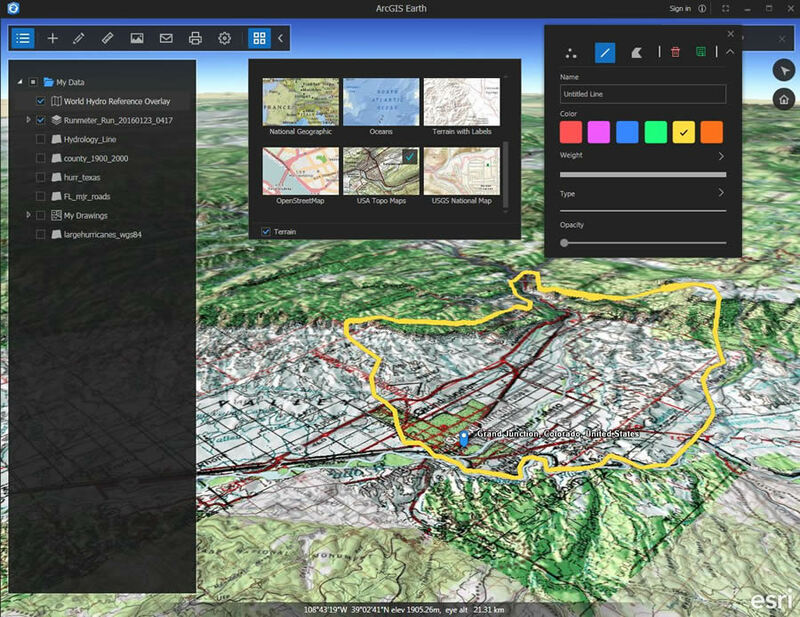 Students can add the World Hydro Reference overlay to ArcGIS Earth, change the current basemap to a topographic basemap, and highlight the boundary of a watershed in western Colorado. 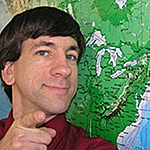 Using the technique illustrated below, students can be taught the relationship between watersheds, river drainage, and topography. 3. Investigate population density and world demographics. 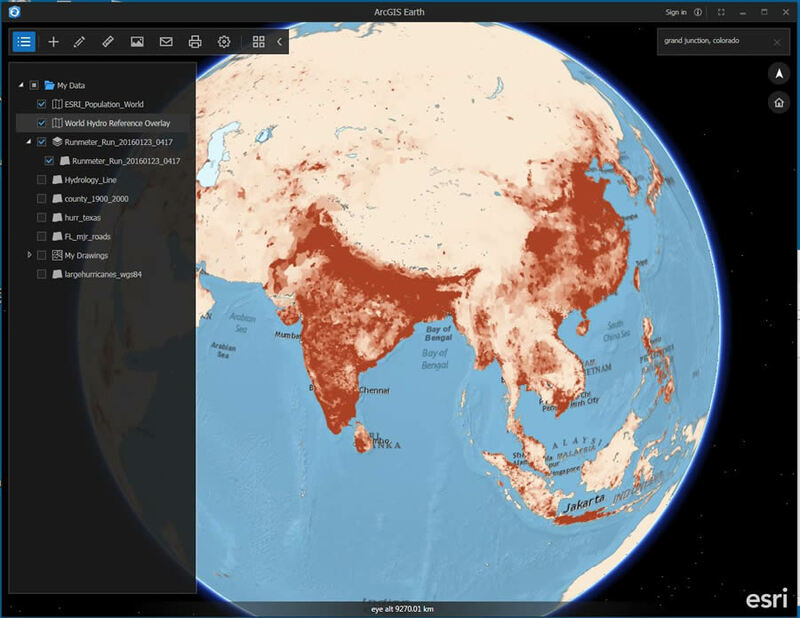 Below, the world population density layer was added to ArcGIS Earth. 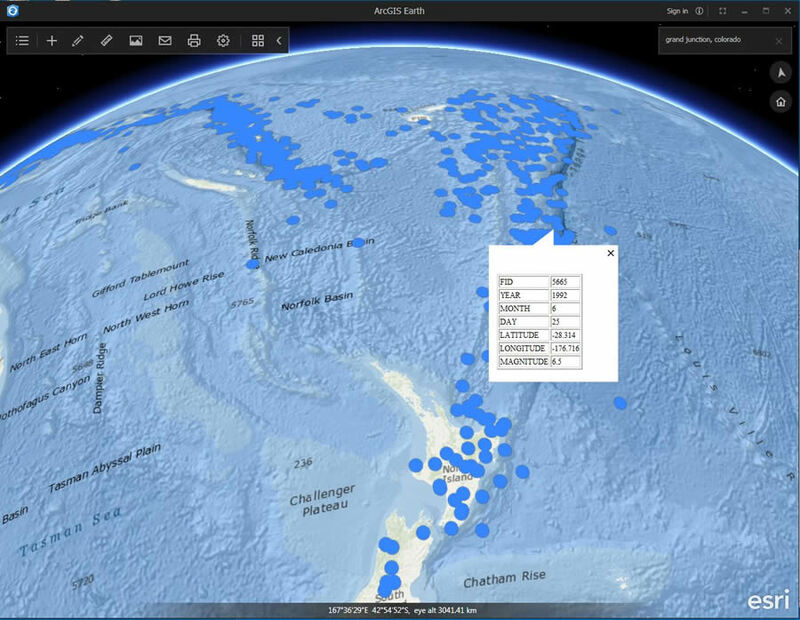 Demographic data can be added by country, location of major world cities, and other map layers to teach about world settlement patterns and why they are important. 4. Teach about the shape and size of the earth. 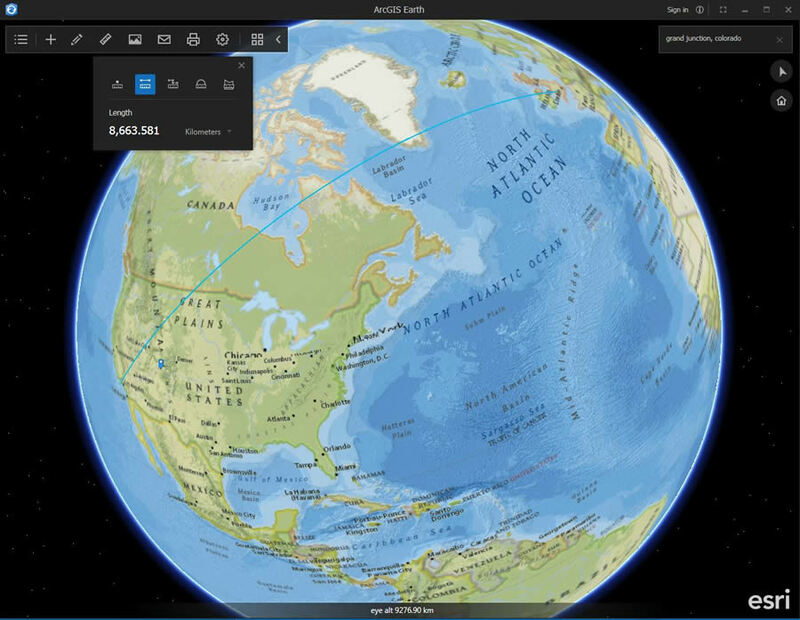 Using the measurement tool in the example below, educators can show students the great circle routes and teach much more about distances and the physical geography of the earth. 5. Study real-time data. In the example below, the oceans basemap and earthquake data from the last 90 days are being used to study the relationship between tectonic activity and the ocean trench northeast of New Zealand.